Frank McHugh was born Francis Curray McHugh in Homestead, Pennsylvania to Edward and Catherine McHugh on May 23rd 1898. His family ran a stock theater company in Braddock, Pennsylvania so he was able to appear on stage at a very early age. One source I found stated that he debuted in blackface at the age of six in his family’s production of “For Her Children’s Sake”. He also worked the vaudeville circuit as a youth appearing in an act with his brother Matt and his sister Kitty. At the age of 17, he left the family’s stock company to join the Marguerite Bryant Players, a Pennsylvania based acting troupe of which future fellow Warner Brothers character actor Guy Kibbee was also a member. After honing his skills in stock theater in the 20’s, Frank eventually made his way to Broadway where he debuted in 1925 in a production of “The Fall Guy”. The following year found him in London appearing with James Gleason and Robert Armstrong in the Gleason penned boxing tale “Is Zat So?” By the late 20’s, sound had hit Hollywood hard and the studios were in desperate need of actors who had experience with speaking parts. Naturally, they came looking for talent on the Broadway stage. Frank made the leap to Hollywood in 1930 when Warner Brothers put him under contract. His film debut was in “The Dawn Patrol” (1930) starring Douglas Fairbanks, Jr. Over the next twelve years he made more than 90 films for Warner Brothers. Frank’s specialty was as the sidekick to the leading man and often as comic relief. In this, his round face, short, squat stature and nervous laugh were obvious benefits. Frank once said of his acting ability that “I never act in movies. All I ever do in a picture is to be myself and let the cameras grind on.” This is one of the characteristics that I like best of Frank’s work. Unlike some actors of the early 30’s he never appeared wooden or mannered. He always had a very natural demeanor which came over very well on the big screen. In those early Warners films he was often teamed with James Cagney or Pat O’Brien and he formed close friendships with both men. Frank, Cagney, and O’Brien formed the core of a group of Hollywood friends at the time that were known as The Irish Mafia whose membership also included Allen Jenkins, Ralph Bellamy, and Frank Morgan. Notable films for Frank include “The Front Page” in 1931 in which he played McCue, one of the bullpen reporters waiting on the execution of Earl Williams. 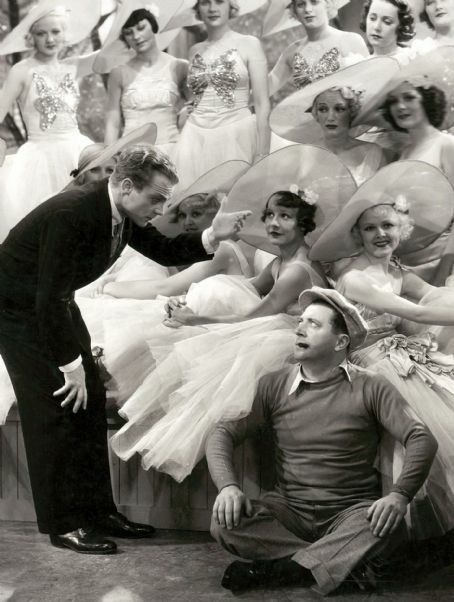 In 1933, he appeared with Cagney in “Footlight Parade” as the cigar chomping choreographer to the “prologue” extravaganzas that Cagney was putting on. The next year he appeared as the chauffeur to Ruth Donnelly and Glenda Farrell in “Heat Lightning” starring Aline MacMahon. In 1935, he appeared in Warner’s production of “A Midsummer Night’s Dream” in the role of Quince, the carpenter, a film which seemed to star most of Warners contract players including Cagney as Bottom. In 1939, he appeared with Cagney in the mobster flick “The Roaring Twenties” and the following year he appeared with both Cagney and O’Brien in the war film “The Fighting 69th”. In 1944, Frank had one of his more memorable roles appearing as Father Timothy McDowd in “Going My Way” starring Bing Crosby. Like a lot of Hollywood actors in the 50’s when film roles started getting scarce Frank moved to radio and television. From 1954 to 1956, Frank appeared in the radio serial “Hotel for Pets” where he played a former mail carrier who ran an animal shelter. The series was sponsored by Puss ‘n Boots cat food. 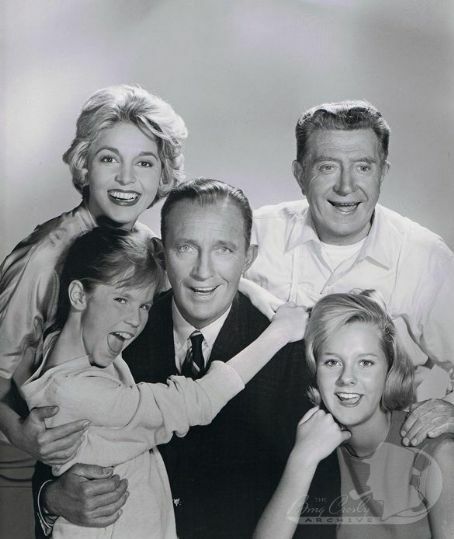 From 1964 to 1965, Frank was reunited with Bing Crosby when he appeared as handyman Willie Walters in the TV sitcom “The Bing Crosby Show” also starring Beverly Garland. Frank retired from show business in 1969 and in 1981 he died at the age of 83 from natural causes.